Josh Matlow lives in Midtown Toronto with wife Melissa, and daughter Molly. He was elected to Toronto City Council on October 25th, 2010, and is now serving his third term as City Councillor for Toronto-St. Paul’s, Ward 12. Councillor Matlow was co-director of Earthroots, a Toronto-based environmental non-governmental organization where he championed efforts to achieve protection legislation for the Oak Ridges Moraine — the Oak Ridges Moraine Conservation Act, and Ontario’s Greenbelt. He has also been a radio broadcaster and columnist. As St. Paul’s School Trustee (2003-2010), he initiated a “Green Grid” project for renewable energy generators (such as solar panels) on school rooftops, homework policy reform, campaigned to keep Toronto’s school pools open, advocated for governance and accountability reform, demanded genuine consultation processes for his community, initiated a “Financial Literacy” curriculum to teach students about matters including credit cards, budgets and the stock market, worked with his community to rebuild North Toronto Collegiate Institute and championed initiatives to curb youth violence. As a community advocate and city councillor, Josh has fought for the protection and expansion of local parks and public space, high quality and affordable childcare, tenants who need a strong voice, evidence-based transit including relief for the overcrowded subway system, support for local business areas, farmers markets and arts and cultural events, revitalization of neighbourhoods, improve the Official Plan to put residents’ quality of life before the interests of condo developers, abolishment of the Ontario Municipal Board from Toronto, a strategic plan for Toronto’s seniors to create an age-friendly city, the Youth Equity Strategy to address youth violence at its roots, advocated for action by the city and police to improve road safety and has campaigned for solutions to gridlock and has advocated for governance reform at every level of government. Josh brings a strong, independent and facts-based perspective to every policy debate. 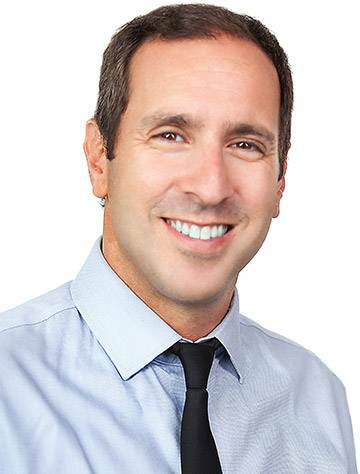 Josh Matlow has been a Toronto Star’s “Newsmakers of the Year” and “People to Watch”, The Village Post and North Toronto Post Magazines: Toronto’s Best Public Official, Town Crier’s “Pillar of the Community” and Now Magazine’s “Top Activists of the Year”. He has written articles, columns and opinion pieces for the Toronto Sun, Toronto Star, Globe and Mail and Town Crier Newspapers, Post City Magazines, and was a weekly co-host on Toronto talk-radio stations, AM 640 and CIUT. 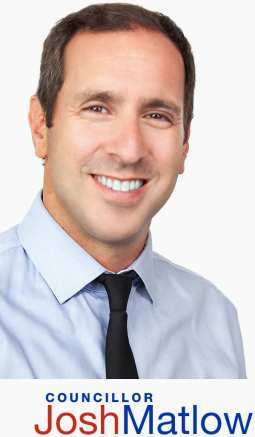 Josh wrote a weekly column, City Hall Diary, every Monday about City Hall in the Toronto Star and hosted the Newstalk 1010 radio show, The City with Josh Matlow.